Many executive directors aren’t happy with their development directors and many development directors aren’t happy with their jobs–the result is an inability to adequately raise funds for the nation’s non-profit organizations and deliver much-needed community services and benefits. That’s one of the findings of Under Developed, a recently released national study by Compass Point. 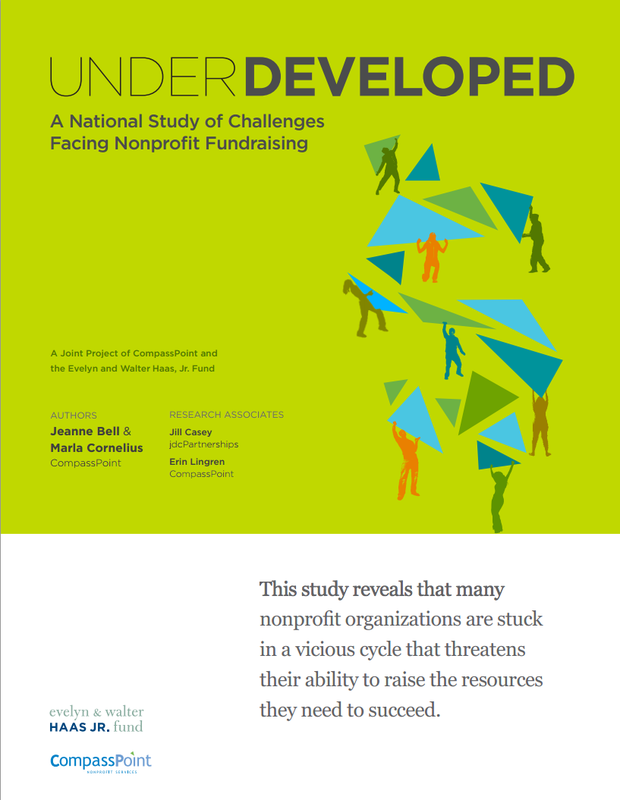 In a nutshell, “many nonprofit organizations are stuck in a vicious cycle that threatens their ability to raise the resources they need to succeed.” Their findings and recommendations come from 2,700 surveys of both executive directors and senior development staff, and focus group discussions with 53 executives and board members across the country. This entry was posted in Fundraising, Governance and management and tagged Compass Point on January 23, 2013 by Max van Balgooy.